Specifically, the board declared its opposition to three bills being introduced by local members of the state Assembly, including one that would influence the election process of county officials, one that would control the redistricting process for the Board of Supervisors, and another that would limit the board’s participation in the San Diego Association of Governments’ board of directors. The three bills would only impact San Diego County, yet could be voted on by the state Assembly and state Senate before being signed into law by the governor. Supervisor Bill Horn said if the bills become laws, they would significantly disenfranchise residents of the unincorporated areas. He had a message for state legislators. Assembly Bill 805 by Assemblywoman Lorena Gonzalez Fletcher, D-San Diego, would change the makeup of the boards of directors for SANDAG, the North County Transit District and the Metropolitan Transit System. Assemblyman Todd Gloria, D-San Diego, introduced AB 901, which would require a runoff in November elections, even if a candidate received more than 50 percent of the vote in the June Primary Election. 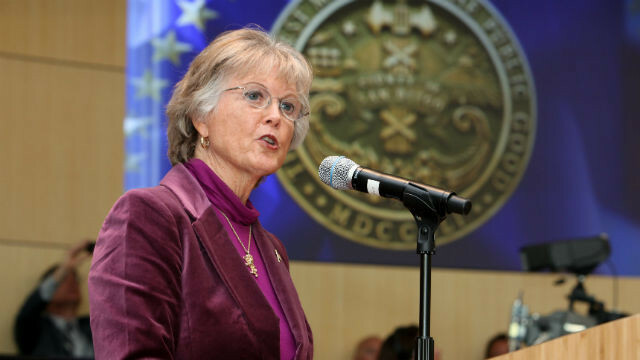 Assemblywoman Shirley Weber, D-San Diego, introduced AB 801, which would remove the county’s redistricting process from its current panel of retired judges and hand it over to the County of San Diego Citizens Redistricting Commission.